Most ELL teachers know that 90% of dialogues for students to practice are terrible – it’s like textbook writers are in a contest to see who can write the most boring ones. 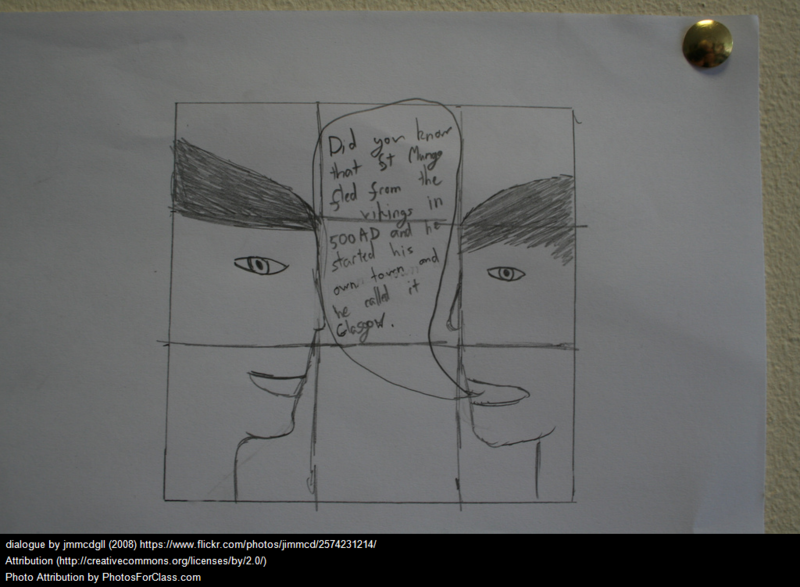 But dialogues can be so much fun – and such a great language acquisition tool! I utilize the strategy by writing my own – making them funny and engaging. KOU and KAO: Trick or Treat! ADULT: You scared me! What do you want? KOU: We want a treat! ADULT: I only have one piece of candy left and there are two of you. Will you share? KAO: No, I want it! KOU: No, I want it! ADULT: Since you can’t share, I’ll eat it. KAO and KOU: We don’t like you! We’ve been studying Halloween for a couple of days, so students had some prior knowledge of the holiday. I modeled the dialogue a couple of times, handed out copies of the dialogue, and divided students into groups of three. They had five minutes to practice and then perform in front. I also recorded them, posted the recordings on our class blog, and played them afterwards. They were uploaded there within minutes of students doing the role-play. Plus, students could listen to themselves later and play it for their parents at home. I’ve written before how I use the Audio Copy app to record and then immediately upload it to SoundCloud. It literally takes seconds. I’m adding this post to The Best Sites To Practice Speaking English.